What a beautiful fall we have had! Our residents have continued to enjoy sitting in our gardens, walking around the property and getting out and about. At the nursing home, we had a great Country Fair Week, complete with fried bread dough, BBQ ribs, mini horses, Opal the Chicken, and some great games. At The Village, our first Antique Road Show Appraisal Fair was a big hit. I know I was fascinated by the history of the items and the appraiser’s insights. This newsletter will feature all the engaging and informative events we will have throughout the fall and into the holiday season. In October, our popular new Speaker Series featured “Medicare Basics“. All of us who attended learned a great deal from this informative talk by Rebecca K. Masutani of the Dartmouth Medical School. Thank you, Rebecca. On October 27th, we hosted the talk “Advance Care Planning: Let’s Talk About it” by Rebecca A. Desilets and Lora Wise, Health and Aging Resource Specialists at Dartmouth-Hitchcock Medical Center. It was a very informative and engaging session. Please see the list in this newsletter on other future topics and join us. The series is attracting community members, staff and our residents. Each seminar is free and open to the public. You will find the speakers as well as the audience very educational. In our new digital age, we will now be publishing the newsletter electronically through an email delivery service called MailChimp, and on our website, but will also keep paper copies available at our reception desks. If you provide us with your email address, we will put you on the mailing list for our newsletter and announcements. We are promoting our Speaker Series and other Cedar Hill events via email with MailChimp. It is a way for you to stay more connected. Also, we invite you to “friend” us on Facebook, and please feel free to write a review. Both sides of our driveway – the nursing home on one side and the Village and Memory Care Center on the other – are active on Facebook. This is a seamless way for families, residents, friends, and employees to stay in touch with all we do on our campus. We also keep our Cedar Hill website up to date, and you can see our videos there as well. As we head into the Holiday season, please remember to RSVP for our holiday meals, open houses, and other festive events. It’s important for us to know how many family members will be joining us for holiday dinners so that we can plan ahead. In late October, Cedar Hill Health Care Center had its annual state/federal nursing home inspection. This year, we had five surveyors for two full days. For the third time in four years, we achieved a Deficiency Free Survey, which means Cedar Hill is operating within all federal and state regulations to provide the highest quality care on a daily basis to our residents and their families. We thank our staff for their incredible dedication and hard work that made this achievement possible. We want to thank our residents and families for the active participation this week. Survey Team: Thank you for recognizing the high quality environment we strive for every day. Go Cedar Hill! 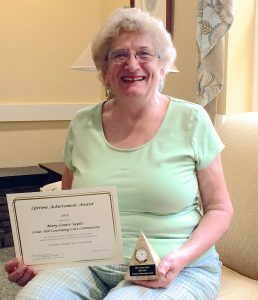 Cedar Hill Continuing Care Community is honored to be the recipient of three awards presented by the Vermont Health Care Association at this year’s VHCA Conference – Lifetime Achievement Award, Nursing Home Activity Director of the Year, and Nursing Home Volunteer of the Year. It’s that season – Holiday events and flu shots. If you are a visitor the Cedar Hill Community, we ask that you do your part to help our residents by getting a flu shot this season. Older residents are particularly vulnerable to the flu. They can become very ill when they do get the flu. We give all residents who consent a flu shot, and make it mandatory for our staff. That helps, but that doesn’t prevent the flu. It just lessens the severity. We also ramp up housekeeping and infection control procedures. But we can’t stop people from visiting, nor do we want to. So please do your part. 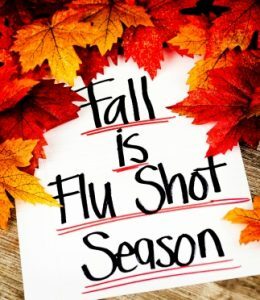 Get the flu shots and please don’t visit if you have a fever, chills or the sniffles. Wait and come another day. Our residents and staff will be grateful! We congratulate Harmony for this recognition and hope she enjoys her ‘preferred parking’ space for Employee of the Quarter. The Employee of the Quarter is chosen by a group from staff from across campus and across departments. Finally, the Village expansion is up and running! It has been a challenging transition and I thank all of you for your patience as we navigate through this transition. We are growing rapidly so you will see many new faces, and we welcome you with open arms. For anyone who does not know, I want to remind you that we now offer automatic bank drafts to pay your monthly invoice. This is a great timesaver for everyone involved, as you no longer need to write a check every month, because the amount will automatically be deducted from your bank’s checking account. All we need is the signed form and a voided check and your payment will be withdrawn from the bank on the 5th of the month. We are pleased to be able to offer this service to our residents and families. Kabray Rockwood will be our next speaker in the Speaker Series. He has been one of our guest speaker a few years back. On Nov. 21st @ 5:30. He will talk about Medicare supplements and answer any questions you may have. He is available to meet with you on an individual basis (free of charge) to discuss your needs. Please schedule an appointment with Kabray and he will help you find the right plan. Flu shots have been given to residents and staff. Please remember that this is flu season. If you do not feel well please do not visit. We also have masks and sanitizer at all 3 main entrances for those of you who feel it is necessary to visit. We want to keep our residents healthy. Our therapy group is providing a Wellness Program which includes walking and Chair Yoga and other activities for our residents. We are also continuing our swimming program. We have partnered with the Claremont Recreation Center and will swim twice a week. The cost is $65.00 for 3 months. This also includes the use of their other equipment and facilities besides the pool. 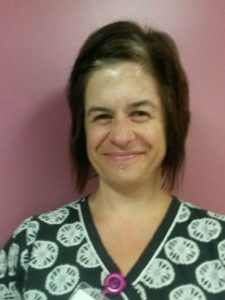 We have hired Kelley Bergeron in our activity department. Kelley has an abundance of energy and some wonderful new ideas to add to our activity schedule. We are fortunate to have her and Andrea; they make a great team! 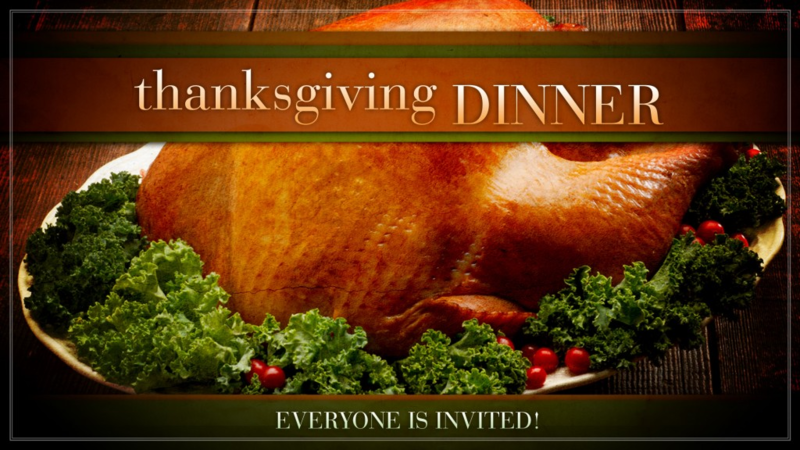 Thanksgiving Dinner will be served @ 12:30 on Thanksgiving Day. Please make sure you RSVP by the 18th as we do not have the flexibility with last minute calls as we did in the past. The cost for dinner is $15.00 per person. Our Christmas Open House is scheduled for December 6th from 2-4 PM. All are welcome to sample John’s wonderful appetizers, drinks and desserts. Information for December’s festivities will be sent to you under separate cover. Please remember if you have any concerns or questions, contact me and I will do my best to resolve any issues. We hope to see you during the Holiday Season. We’ve had many activities here at Cedar Hill Health Care Center from our Family Picnic in August to our Fair Week in September. In October we enjoyed foliage rides to take in the beautiful sights in the countryside. We had entertainer Peter Ole with his music and trivia all wrapped into one!!! Our residents enjoy him very much. We also decorated pumpkins to get us all into the Halloween spirit and ready for our Halloween party with Roy, our entertainer!! Everyone loves to rock with Roy. Families joined us in costume as we enjoyed trick-or-treating with resident family’s children and grandchildren. Cedar Hill has 3 staff members who have been certified in “Music and Memory”: Jennifer White, Activity Assistant, Rev. Janice Chilek, Cedar Hill’s Chaplain and Barb Flinn, Activity Director. We spent around 8 hours learning about how the program works and seeing the results people have had from all over the country. Music and Memory is about giving residents with memory issues their favorite music to listen to, and seeing them react. What we have found out in the Nursing Home world is that this does work. Residents that would normally just sit around, not saying or doing anything were given an IPod loaded with only the music that they enjoyed. Some of the results have been amazing. I have heard about how residents come alive dancing in their chairs, singing their favorite songs! On that note I have to say it doesn’t work for everyone, but there have been very good results for most! I am excited to get this up and running soon. With all of that being said, we are looking for new & used IPods as well as headphones (the ones that have good padding around the ear piece). Our goal will be one day for having enough to go around to every resident we have. We are always looking for volunteers to come in and read or just visit with residents. If you are interested, please contact Barb Flinn at bflinn@cedarhillccc.com or (802) 674-6609 ext. 216. We have been getting our invitations ready to go out for Thanksgiving Dinner! Just a reminder for those who have been here and for all our new folks we only send out one invite per family, so it’s up to that person to let the rest of the family know and get the number of folks coming. RSVP by November 16th. We will not be able to take anyone after that date. The price for the meal will be $15.00 per person, under 6 years old free. Any questions on this can be directed to Barb Flinn, Activity Director. See below for our menu and a link to RSVP. The Village continues to offer a diverse and stimulating activities program for the wellbeing and enjoyment of all Village Residents. Some of the highlights that residents enjoy are: Shopping trips to area stores and thrift shops, Adopt-A-Grandparent program with a local kindergarten class, various entertainers throughout the month, swimming trips to the Claremont Rec. Center pool, Xbox games, Red Hat Society, visits to local museums, lunch-away, and much more. With the change of seasons comes new programs and renewed interest in old favorites, such as a hand bell choir, sing-a-longs, a dynamic Speaker Series on various topics of interest, leaf peeping drives in the country, and we introduced Yoga and Tai Chi in October! Our Memory Care Center is growing. Along with that growth is an increase in staff, activities & new ideas. We are implementing a structured activities program that includes weekly outings. With the help of families we are incorporating individual play lists for our residents via I-Pods as part of the new Music and Memory Program. Finally, this spring we plan to start a support group for our Memory Care families. Saturday, Nov. 7th – 10:00 a.m—3:00 p.m. 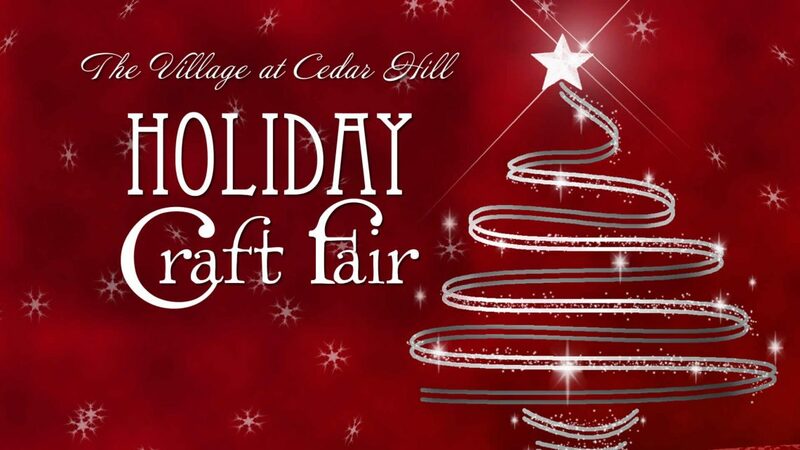 The Village at Cedar proudly hosts its 3rd Craft Fair, offering fabulous Holiday Decorations, Wreaths, Porch Displays, Artwork, Jewelry, Wood Products, and much more! Custom Creative wood work, cutting boards, cabinetry, etc. Vintage Sleds all dolled up for the holidays, ready to spruce up your porch! Awesome hand cut stained glass display! And More – Come and be dazzled by an exclusive array of hand crafted Christmas gifts! 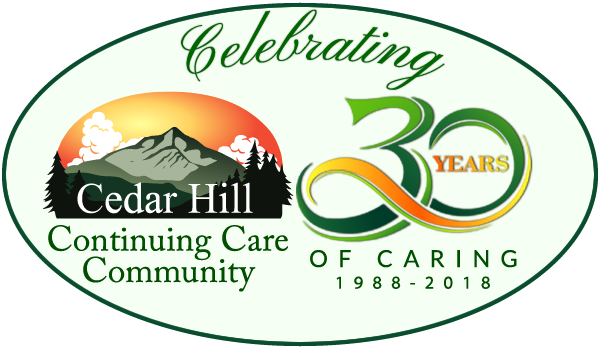 Please join us in the coming months, as Cedar Hill Continuing Care Community and The Village at Cedar Hill host a monthly series of fact-packed and thought provoking Seminars on timely issues affecting our senior population. We are proud to present some of the most knowledgeable experts in our area on a variety of topics that could touch each of us at some point in the future. 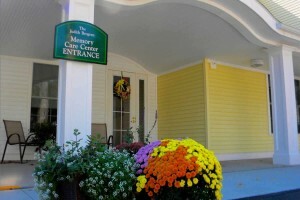 All Seminars are held in the Activities Room of the Village at Cedar Hill, 92 Cedar Hill Drive, Windsor, Vermont. Please follow signs to the main entrance-North wing. Refreshments will be served. 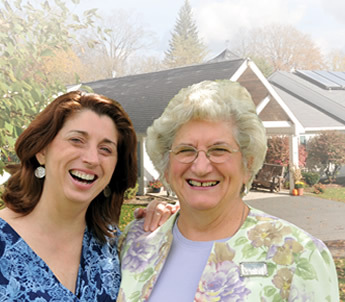 November 19 at 2pm “Spiritual Support” Presented by Jeanne Childs, MA, Board-Certified Chaplain and Spiritual Counselor at Dartmouth Center for Aging and Health. THIS IS BEING SENT TO 1 FAMILY MEMBER ONLY. PLEASE NOTIFY THE REST OF YOUR FAMILY AND LET US KNOW HOW MANY WILL BE COMING BY THE RSVP DATE. THANK YOU! We cordially invite all families and friends of residents – music, food, and Santa!